Growing up, monster trucks had always been a passion of mine. But it wasn’t until I saw my first monster jam truck show that I really got inspired. I remember the excitement and experience so much yet cringing at the sheer sound and vibration in the stadium. Massive trucks blasting off huge jumps and crushing cars with zero effort. These magnificent beastly machines seemed unstoppable. As cool as it would be to own a monster truck, this is really not realistic for most of us. Although, we can get pretty close to owning a monster truck. Just in a scaled down mini version. What’s really cool is there are RC manufactures that make scaled versions of our favourite Monster Trucks. Trucks like the GraveDigger and Bigfoot. 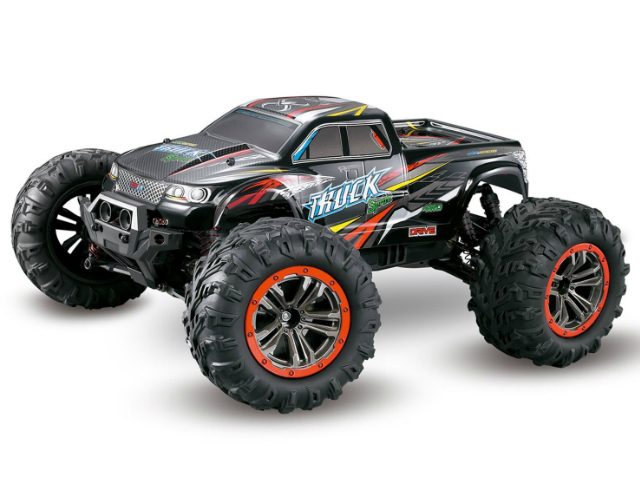 Even if you are not interested in getting a scale truck, there is a plethora of RC monster trucks available to buy. Too many choices in fact. If you have been following my other guides you know I have an obsession and sickness for RC. Seemingly endless, constant, revolving RC inventory. This has, however, allowed me to try out lots of cool RC products. So I created this RC Monster Truck Guide to help point you in the right direction. Because as we all know there is a lot of disappointing junk out there. Especially nowadays and in the RC industry. Now I know not all of you guys have big budgets and will be looking for a different set up... So in this guide, you will find my top 3 picks for Ultimate, Value, and budget buyers. Now lets get down to business! Below are my top recommendations based on durability, performance, features, and MONSTERNESS. This thing really is a beast! It's amazing size and long travel suspension just eats up any terrain. Jumping is a blast with the built in self leveling tech. When we want to grab a truck for some fun weekend bashing the Xmaxx is my number one choice. 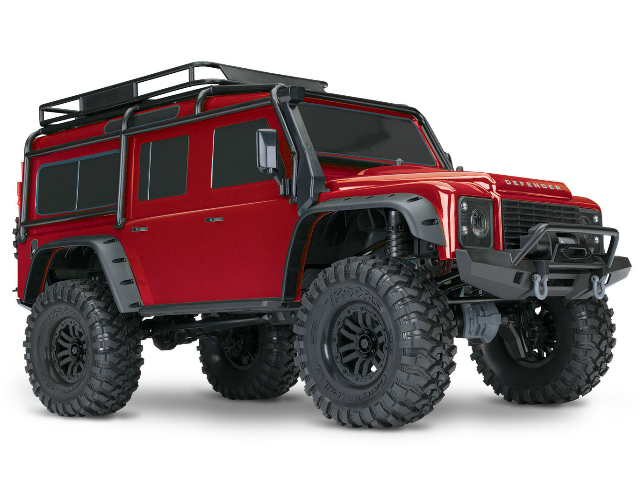 The RedCat Volcano is a great truck to get started with. It's a true RTR with included battery and charger. The truck has good off road performance for the price. But, for a budget truck you can't expect longterm durability either. The included charger is cheap, takes way too long to charge a battery. You will want to invest in a better charger and battery pack. All in all, for the price this truck is totally worth it! For the price this truck is really hard to beat! Sure it's not the most durable RC truck out there but what can one expect for the price. Has a great line of features you would not expect to see in a value RC. If you want an affordable, fun, fast RC Truck, order the Hosim 9125. Traxxas products are a love hate for many RC enthusiasts, but we can all agree the XMaxx is something out of the ordinary. My club colleagues all agree there is no other RC Truck on the market that offers the same level of experience was the XMaxx. "This thing is a beast and gives my hours and hours of monster bashing, racing and jumping fun." Now I know it's not the most affordable truck, but once you see or run it in person, you will be instantly convinced. This is our number one choice from all the models we tried. The Traxxas Xmaxx eats up any terrain you throw at it and jumping it is a blast. 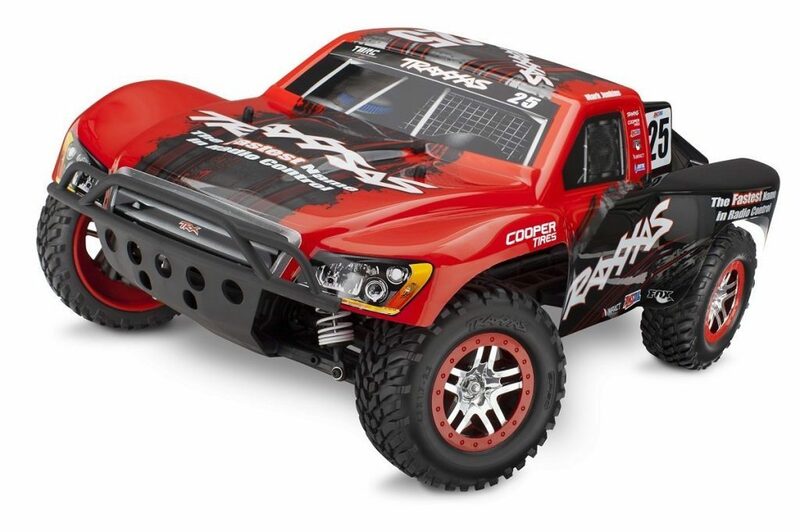 Traxxas is one of the rare companies that keeps surprising us with each of their new models. Also, we love the fact that they decided to make a new addition to the Maxx family. And, we have to say, this model definitely lives up to the name. Straight out of the box you will have to notice the size of this monster. It is 30.67 inches long and 21.26 inches wide, and it weighs in at 19.1 pounds. To support all of the action you might want to get going on, it comes riding on Mammoth 8-inch tires. The X-Maxx comes with the superbly powerful Velineon 1200XL brushless motor and a single speed transmission. Now, we have to tell you that it is not the fastest truck we have tested so far, but it just feels so incredibly powerful on rough terrain. The top speed it develops with the pinion gear and two batteries is slightly above 50MPH. And the excellent super-plush GTX shocks are there to keep it from breaking or flipping. The steering servo of X-Naxx comes with heat sinks and is capable of producing almost 23 pounds of torque by redirecting the huge front wheels. Furthermore, this 4WD truck comes with several ingenious features. First of all, we want to at least mention the self-righting ability as our favorite feature. After all, we love going wild with our RC trucks. Other than that, it comes with a waterproof body, clipless mounting fully modular design, and many other features. If you take a little time to see what the Xmaxx can do, you will want to buy it. With a bit of modding, it can drive on water, jump incredibly high, and even pull a real car. Of course, we simply had to replicate most of the things we saw online. Believe us, you will love playing with this beast. We were capable of replicating the car-pull and the driving on water. But, sadly, our setup was not good enough to repeat some of the insane jumps we saw online. All in all, this is an excellent truck that is an amazing purchase for anyone who is serious about RC vehicle driving. 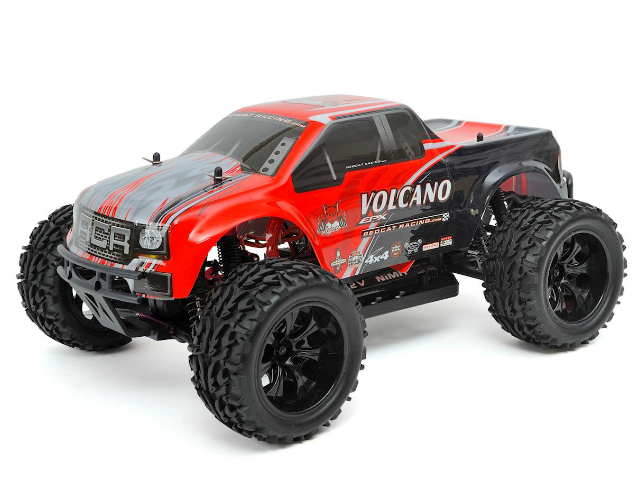 We decided on the RedCat Racing Volcano as our second choice. This is an excellent, inexpensive option for beginners. But if you want to “up your game” and start doing some trickier stuff, you might want to upgrade. Are you a big fan of monster truck shows? Well, in that case, this is possibly the best RC 4×4 for you. It is powerful, it is rough, and it is great when you get to rough terrain. The Volcano is just shy of 16 inches long, 12.2 inches wide, and it weighs in at 8.6 pounds. But, that is not what you are here for. Instead, what you want to know is how good this car handles and other nitpicky information. So, let’s start off by checking out the motor. The Redcat Racing Volcano comes with a brushed 27T 540 motor that is powerful enough to give it a top speed of 20mph. Having a brushless motor would make it faster, but the brushed motor makes it a lot cheaper. 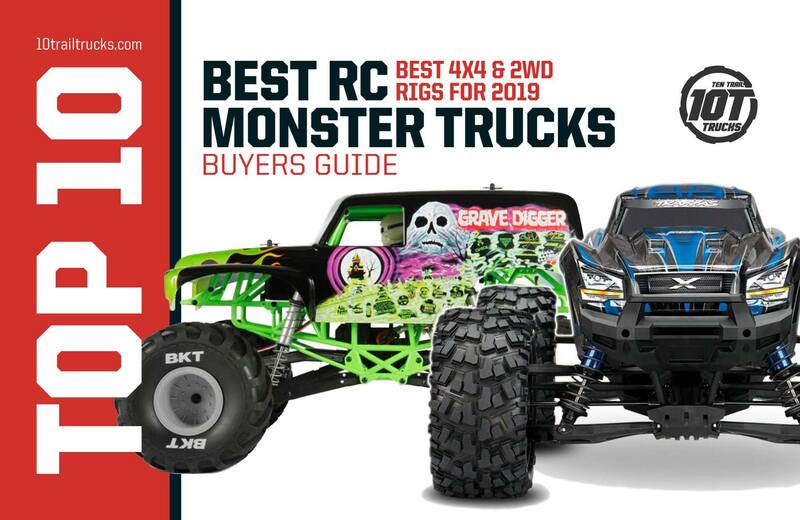 With that in mind, we would definitely recommend this inexpensive RC 4×4 to beginners. The Volcano is also rather durable. However, there are several weak points too. Namely, the front suspension is not as durable as we would like it to be. The front bumper offers some protection, but, it’s not enough when it comes to direct collisions. 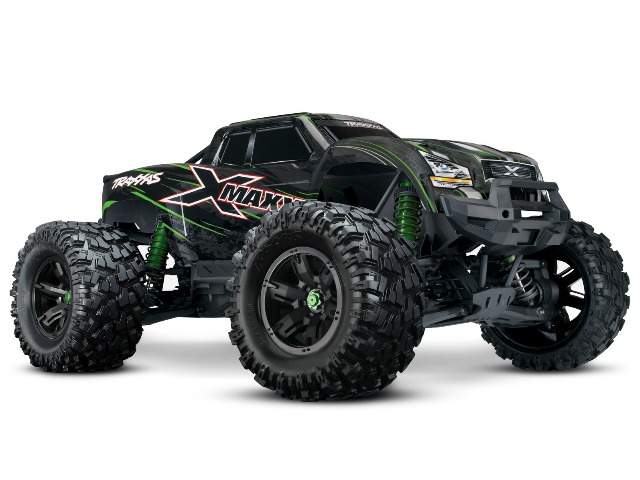 We would advise some caution while jumping around with this monster truck. Or, if you don’t want to slow down your ride, you can always get a hop up kit and outfit it with metal parts. When it comes to handling, we have to say: it handles quite nicely. Uneven terrain doesn’t even bother the stability of this vehicle. The wheels are large and offer a lot of grip, and the high clearance means that it can pretty much drive on any terrain. Furthermore, all of the crucial parts are waterproof to a degree so you won’t have to worry about puddles. The truck itself comes ready to run, and you can start using it straight out of the box. So, in the end, it seems like this is an excellent inexpensive truck for beginners to use. Our 3rd choice, the Hoism 9125 offers top value for money. It is our third choice, because although impressive, it is still a budget pick. The biggest shortcomings are a short 10 min run time and a lack of aftermarket parts. If you have always wanted your own monster truck, this Hosim model will be all you desired and more. With huge tires and more than a decent speed, this shockingly affordable RC monster will run over almost anything. As soon as you unpack this bad boy, you’ll notice how durable it is. It weighs in at 5.82 pounds, it is 15 inches long, 12.6 inches wide, and 7.9 inches tall. Its Li-ion battery that has 1600mAH guarantees a decent runtime and the charging time isn’t too bad either. You’ll only have to wait 2.5 hours for this Hosim model to recharge. Now that we got the basics out of the way, it’s time to get to the fun stuff. This model comes with two motors that can provide an amazing maximum speed of 30mph. You can choose the first or the second gear, and this truck will simply jump to life. The sturdy grip tires on 9125 have an aggressive tread, so you can go both on and off-road. Highly durable rubber tires are there so you don’t worry about that when you’re playing with this model. These wheels are heavy duty and anti-skid, therefore you can expect a premium performance and even climb slopes without a hitch. The four-wheel drive, combined with the four-direction control will make racing in any direction a breeze. When Hosim designed this little beast, they had enthusiasts in mind. Once you start testing this bad boy, you’ll notice that it’s sealed and that its ball bearings are perfect for rugged roads. Doesn’t matter how rough you get with the 9125, its shockproof system and a steel chassis shaft structure will be able to take it. Surprisingly silent and easy to steer, this truck is also waterproof, which is almost unbelievable for this price range. We checked how waterproof it is by simply driving through puddles, and nothing happened. Then we drove it through really deep mud puddles, to see if it would get stuck or stop because of overwhelming amounts of water. However, nothing happened; 9125 simply breezed through, like it was nothing. Whether you’re looking to drift, turn, or flip, 9125 has it all covered, and for an incredibly low price. A few years back people were queuing up in hundreds waiting to get this model. In fact, the Yeti’s release was one of the most hyped events in the RC world ever. And, the machine lives up to the expectations. This 1/10th scale RC vehicle is around 20 inches long and 12.5 inches wide with a ground clearance of 2 inches. Furthermore, it only weighs in at around nine pounds. If you look at the chassis of the Yeti, you can notice that it is somewhere between a truggy mix and a tub chassis. The tub part covers a bit more than half to provide the rigidity and support while the overall design allows you to maintain the vehicle easily. And, when it comes to durability, we couldn’t believe our eyes. Sure, we didn’t have a good rocky terrain near us, but, even our dirt field offers ample opportunities to destroy a car. And, believe us, we tried. The Yeti simply took all of the punishment we had for it and kept going without a single issue. If you consider yourself to be handy, you will love this car. You can adjust the front suspension to fine-tune the vehicle for various trail conditions. Additionally, the oil-filled shocks in combination with the four-link suspension make for a smooth ride. In fact, it was made to run on rocky terrain, and that is where it is most satisfying to test it. The Axial 4-pole 3150kv motor gives this car a lot of power. It accelerates almost instantly and reaches the top speed of 32 miles per hour. Some people dislike the fact that the top speed is not really impressive. However, to be fair, you wouldn’t want your truck racing at 60 miles per hour over rocks. That would easily destroy pretty much any vehicle, RC or not. Not to mention that 32 mph is nothing to sneeze at. The acceleration it offers makes it so that you can get incredible air time with the Yeti. But, bear in mind that it takes a lot of skill to pull it off properly. After all, you don’t want to keep taking nosedives. When it comes to rock crawlers, we really thought we have already seen it all. However, this miniature version of Land Rover Defender took us by surprise. Before we get into any of the other information, we have to mention the portal axle set. Namely, this RC truck uses a feature you would usually see on off-road cars and trucks that are full scale. This technology allows Traxxas to place the axle above the middle of the wheel. In turn, that increases the ground clearance of the truck, without increasing the wheel size. Another benefit that comes from using portal axles is that they dramatically reduce the torque twist. And that means that the Titan 550 motor gets to translate the torque directly into powerful forward motion. But, back to the basics. This truck is 23.07 inches long, 9.78 inches wide and it has a ground clearance of 3.14 inches. It is also relatively lightweight for the size as it weighs in at only 7.43 pounds. The GTS aluminum shocks will help you ride around on rough terrain and give you excellent articulation. Furthermore, the heavy-duty rigid steel frame will provide a robust backbone for your suspension. 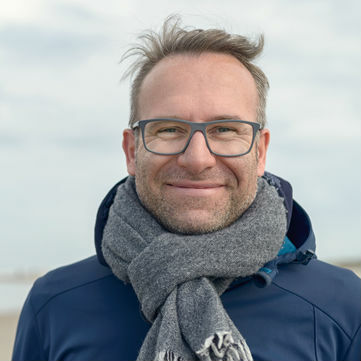 In fact, if you were using an inferior model, you might have to take a while to accustom yourself to the new technology that prevents any and all chassis twists we all had to learn to live with. But, once you do, you will definitely appreciate the accuracy of the controls on this machine. The remote control is accurate and comfortable. That is something we already knew to expect from Traxxas. But, it also comes with cruise control you will love. The last thing we want to mention here is the design. As you can see, this is a very accurate Land Rover Defender body representation. Even the smallest of details are there to give you that bit of extra excitement. It comes with a fully functional spare tire, off-road jack, and spare fuel canisters. The details don’t even end there. If you flip it over, you will see very accurate inner-fender details. And these details are incredibly useful if you plan on roughing this truck up. 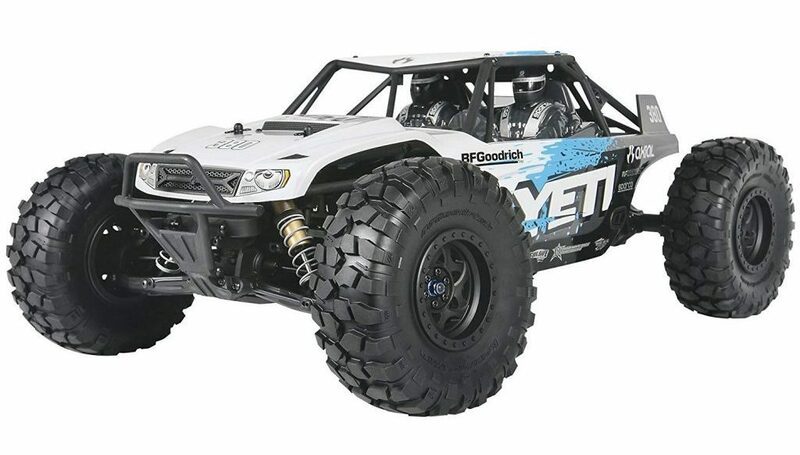 If you’re looking for a high-quality, sturdy RC truck that can take any challenge you throw in front of it, you should definitely check out this Exceed model. Off-road smashing action with a bunch of features – that’s what you get when this monster truck comes out of the box. 15.8 inches long, 12.2 inches wide, and 7.3 inches tall, this 2-pound truck might seem small. However, when it comes to its features, there’s nothing small about it. First of all, it’s not for anyone under 14 years of age. Yup, this is a toy for serious enthusiasts. The 2.4Ghz transmitter-receiver system offers excellent control and range, so the vehicle behaves just the way you want it to. The controller also has dual-rate steering and throttle adjustments, which means you can fine-tune power delivery and steering control. The reinforced powertrain is there to make sure Infinitive EP can handle even the roughest of terrain. When it comes to power distribution, in charge of that are metal geared differentials driven by an aluminum center driveshaft. If that’s not enough for you to like this truck, we know what will be. The power department handled by a brushed 540 motor. What powers the engine is a 7.2V 1800Ni-Mh battery that can run for quite a while without slowing down a peg. What most people think is the best about this truck is the fact that it’s adjustable. You can adjust camber and toe settings to the terrain you’ll be using your truck on with turnbuckle linkages. The wheels and tires are large, knobby, sturdy, and paired with high ground clearance. This truck was made to smash through almost any tough obstacle. Heck, you can even run into things with the Infinitive EP – it’s not a problem thanks to its reinforced bumpers. When you take it out of the box, this truck can go 30-40mph. You have to admit that is pretty good all on its own. However, if you want more speed, a longer run time, or more power, you can easily upgrade it to become a monster it has the potential to be. Perfect for advanced RC enthusiasts who know how to modify their vehicles. If you are looking for an excellent beginner truck that is for adults and kids alike, look no further. After all, Traxxas is a company that never fails to amaze us with their RCs. The 1/10 scale model (because, let’s face it, that is the one you want to buy anyway) is 22.36 inches long and 11.65 inches wide. Furthermore, the ground clearance is 2.83 inches, and it weighs in at 5.8 pounds. You probably want to know more about the specs and the features of this RC vehicle. So, let’s start out with the motor. Namely, the Traxxas Slash uses a Velineon 3500 electric motor and the VXL-3s speed control. That gives it the top speed of just over 60 miles per hour (with a 3S LiPo battery and optional gearing). Without the additions, it should be able to hit 30 mph in good conditions. And, you have to admit, that is pretty good for an inexpensive RC car. In fact, when it first came out, it brought about a whole new category of RC cars – the short-course race trucks. Since then, the design of this car didn’t change a lot. Unfortunately, that means it can no longer truly compete with modern designs. In order to take the abuse which is undoubtedly coming its way, the Slash is made out of durable plastic and metal gears. And, not only that, but it is also fully waterproof, so you don’t have to worry about running into puddles. The remote control is very comfortable with the classic pistol-grip design. Also, both the trigger and the steering are proportional, which is a must if you want to control your car properly. If you’re going to let your child play with the Slash, you can always activate the training mode. That mode will cut in half the speed of the Slash and make it a lot easier for kids to practice. You can even use Traxxas telemetry system for this vehicle. That system will let you attach your iPhone to the remote so you can keep track of the car’s status. That includes checking the current speed and engine temperature. The only drawback we saw is that the center of gravity is just a bit higher than we would like it to be. Other than that, this is definitely one of the all-time champions of the RC world.